This is a patented design, steel case with locks to secure CPUs. The design allows easy access front and rear while providing very good security. 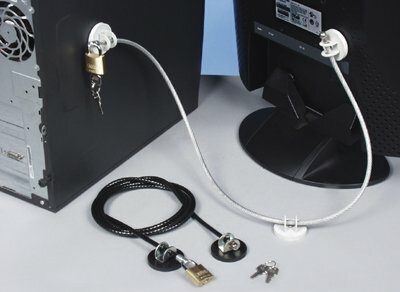 These kits allow you to secure multiple pieces of equipment with one cable. Attachment pads glue to any surface. Includes padlock and keys.